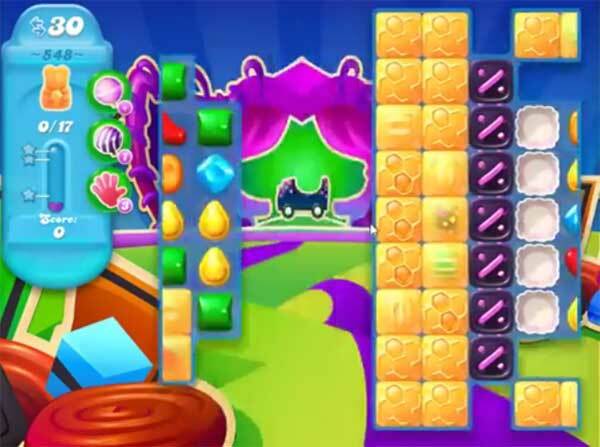 For this level try to play near to honey or play from where more candies available to play yo make special candy. Combine special candies with each other to break more honey to save all bears within 30 moves. I only have 25 moves not 30, in level 548 Soda. Is this correct?